Grandstream has always provided the customers their best in class phones offering the high-quality audio communication solutions with an audio quality unparalleled and a very friendly user interface. For the small and medium businesses, GXP2160 is the best model phone that has all the features and characteristics required by the enterprise for a perfect communication channel. It is an IP phone that is very comfortable for business use, enterprise and SMBbe because of its convenience in features, applications and user interface. Nowadays it is very popular and attractive due to its number of applications and productive features. This phone is equipped with a lot of features for the users, and that’s why it is in use in large number. 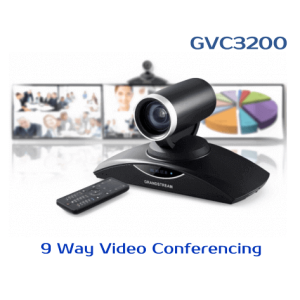 Grandstream GXP2160 has a great quality, speed and is also not very expensive. It has a feature support for six lines at a time. 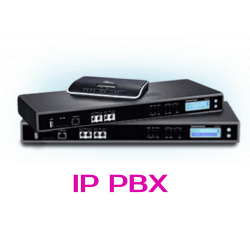 As already mentioned it has a high speed, to be more specific it has 24 BLP/ speed dial keys that allow its users to transfer easily any call or use is for some applications. It has soft keys sensitive to the context, and it has a number of applications customizable as per requirement. As it is also linked with the web that’s why it allows a number of functions, for example, to check news or weather updates. 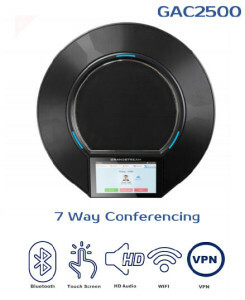 Like some other IP phones of Grandstream, GXP2160 also allows its users to have five way voice conferencing which is very beneficial to have a conference with others clients and businesspeople virtually. It has an LCD color screen of size 4.3 inches and electronic hook switch support for the Plantronics headsets. It also incorporates feature of Bluetooth in it which allows its users to transfer and receive files without the requirement of any the connection cable. It has an excellent voice quality feature with the perfect HD audio available on both handsets as well as speakerphone. For the purpose of transferring files or phonebook, it has a built-in USB port and possesses RJ45 dual gigabit ports too. Grandstream 2160 can handle 6 SIP accounts at a time. With this handset, a universal power supply is also included for the user that is capable of powering up almost 4 cascaded extension modules. It has a total of 24 extension keys that are programmable too. If a user buys this handset, warranty of approximately one year or more is also provided. Moreover, he will also be given an Ethernet cable, phone cord and a guide book having information about its general features. 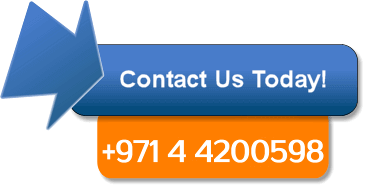 It also provides the user with security protection of privacy for private contacts in phonebook and number of files. Grandstream directly provides technical support to its users. Other than this firmware, FAQs downloads and support is available on the official website of Grandstream. As it is web connected, so updates of firmware time to time are also available online and, users must update it to take advantages from its latest and updated features. Users can provide their reviews about the product online. It allows automated provisioning using encrypted XML or TR-069. 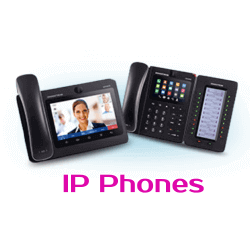 As compared to the other IP or VOIP phones of Grandstream, it is better in the sense that is has six lines, it has more XML soft keys available. Amazingly its BLF keys are 24 which is a large number compared to any other VOIP phone. Talking about its physical attributes, it is mountable on wall and base stand is also provided with the handset. Talking about customers reviews about this phone, most of the customers gave a positive response about this phone and submitted their satisfactory feedback from the online sites. According to most of the customers, they have got what they needed in a business phone. According to them, Grandstream GXP2160 has proven to be a complete package for them. It incorporates every essential feature and characteristic. For example, it has an affordable price, a color LCD screen for a clear display, it has an easy setup, can be deployed easily, etc. However, there were some small complaints too where customers seemed a little less satisfied with this phone of Grandstream. The worry of the clients regarded the warranty of the phone and some small connectivity problems. But overall the review about the phone was good that depicted the satisfaction of customers with this Grandstream Product. The enterprise level communication problems are all solved because of this phone, and a lot of businesses have deployed Grandstream GXP2160 in their offices. There is no doubt on quality and user friendliness of Grandstream GXP2160 IP Phone. Mostly, users have provided positive feedback for GXP2160 that give you a good idea about the quality and reliability of the product.There are a lot of GXP2160 users in different areas of U.A.E. The positive feedback will surely help in making a decision buying this phone. Overall as far as the features are concerned, the phone seems to be a pretty good package!.Grandstream Dubai is always committed to provide you high quality IP Telephones.